Have you ever wondered how celebrities always look stunning in spite of age or troubles? We at NaturalHerbalMedicine confess to being a little jealous of them, but we understand they’ve got an army of personal beauty experts to help. However, the fundamentals of effective care are simple and available to anyone. Let’s take a look together! 1. Don’t discount the benefits of sunscreen. Beautiful and healthy skin can’t be achieved without regular use of sunscreen. Mamie McDonald, a cosmetics expert who worked with Madonna, says that any other efforts you make will be in vain if you neglect this rule. Another celebrity cosmetologist, Dr. Lancer, advises the use of cream with SPF no less than 30, reapplied during the day. 2. Don’t overdry your skin if there’s an inflammation. Most anti-spot creams contain benzoyl peroxide that dries the skin, aggravates inflammation, and increases production of sebum. Alcohol acts similarly, so you won’t get rid of spots like this. Dr. Harold Lancer recommends turning your attention to exfoliating with salicylic or lactic acid and cleansing masks with clay. 3. Never forget about your neck. The neck is one part of a woman’s body that gives away its owner’s age almost at once, so it’s very important to take good care of it. The skin here is thin and requires care as delicate as your face does. Go further than your chin, and you’ll be fine. 4. 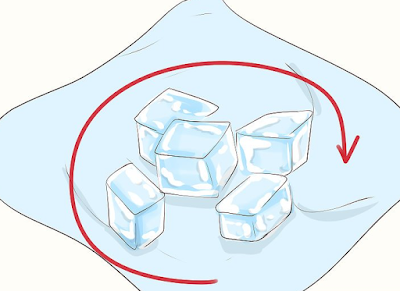 Rub an ice cube into your skin. Santa Monica dermatologist Dr. Ava Shamban advises rubbing your face with an ice cube for a few seconds to prevent a dull complexion. This simple trick stimulates circulation, and your skin starts positively glowing. 5. Store your beauty accessories correctly. 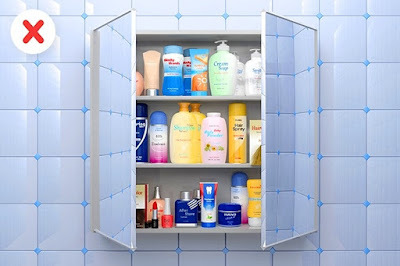 Dr. Debra Jaliman warns against storing your beauty items in the bathroom because the warm and humid air makes them expire more quickly. Face creams and other beauty accessories you don’t frequently use should be stored in the fridge. 6. Keep everything that touches your skin clean. Dr. Lancer says you shouldn’t ever touch your face with dirty hands. Change pillowcases at least once a week if you have dry or normal skin type or once every three days if your skin is oily. Clean your smartphone screen from time to time. 7. Don’t use scrubs and face sponges, especially if you’re prone to acne. Christie Kidd, a skin care specialist from Beverly Hills, recommends never using any abrasive skin care products (scrubs, sponges, brushes) if you have acne: this only leads to graver inflammation. Any skin type needs delicate cleansing without soap, and to reduce reddening and inflammation, apply a water-and-aspirin paste to the spots. 8. Facial massage will help get rid of circles under your eyes. Ole Henriksen recommends lymph drainage massage against circles under the eyes. The procedure stimulates lymph flow, the skin smoothes, and the "bags" disappear. Besides, you can even do it at home — it’s not difficult to learn. 9. Take care of your hands. Hands require as much care as the neck because the skin there is thin and delicate. Try doing your chores in gloves, and regularly moisten your skin with cream. You can also apply anti-age creams to your hands as well as your face. And don’t forget sunscreen! 10. Cleanse your skin thoroughly. Dermatologist Debra Jaliman points out that you shouldn’t ever go to bed with makeup on. If you do that, you’ll end up with blocked pores and inflammations. Simple as it sounds, many still neglect this advice. As much as you might be tempted to leave your bra on before sleep, hearing all the stuff about your breasts becoming perkier thanks to this, doctors warn against it. A bra, especially a tight or wired one, constricts your blood circulation, leading to health problems. In addition, it causes skin irritation, restlessness due to discomfort, and darkening of the skin under the straps and wire.